In our two decades of experience, we have scored remarkable achievements in our business practices and we have gained the confidence and respect of various governmental and non-governmental as well as private companies. In parallel to our normal business activities, MGK renders rental services of Manitou Telescopic handlers and Masted Forklifts; and hose assembly services from high to low pressure for various Construction, Agriculture and industrial applications by using high quality Gates hoses and couplings. We confidently claim that our products and services are well accepted and appreciated by our various users. 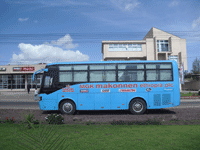 The head office of MGK Makonnen Ethiopia plc is located at Akaki/Kality sub city Woreda 8, Building No. 108 comprising of a ground plus two (G+2) building , a large parts warehouse, modern workshop and spare parts building. 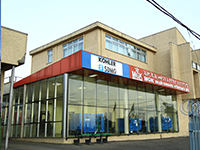 MGK has a branch in Addis Ababa equipped with a workshop, parts and machinery rental facility and is currently in process of opening additional branches to various regional towns in Ethiopia. MGK Makonnen Ethiopia PLC has an experienced management team with direct knowledge of the industry, extensive research experience, and unique administrative skills. Our teams are distinguished by their functional and technical expertise combined with their hands on experience, thereby ensuring that our clients receive the most effective and professional services in all aspects of our business spectrum. Our goal is to exceed the expectations of every client by offering outstanding customer services, increased flexibility in the range of products & services and greater value.